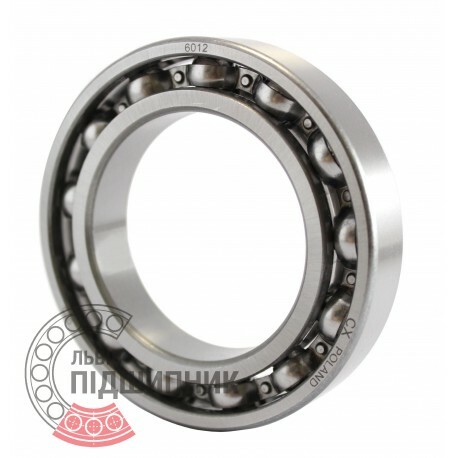 Deep groove ball bearing 6012 CX, Poland. Dimensions 60x95x18 mm. Matches the bearing 112 (GOST 8338-75). Net product price: 119,13 грн. Gross product price: 142,96 грн. Hurry up! Last items in stock! 142,96 грн. 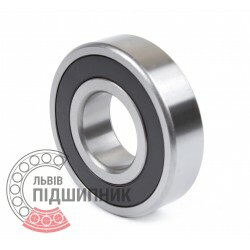 The ball bearing consists of two rings (internal and external) and rolling elements (balls), connected with a cage - separator. Deep groove ball bearing 6012-2RS , China. Dimensions 60x95x18 mm. Corresponds to the bearing 180112 (GOST 8882-75). Net product price: 89,10 грн. Gross product price: 106,92 грн. Deep groove ball bearing with protective metal washer on both sides 6012ZZ CPR, China. Dimensions 60 x 95 x 18 mm. Matches the bearing 80112 (GOST 7242-81). Net product price: 79,86 грн.  Gross product price: 95,83 грн. 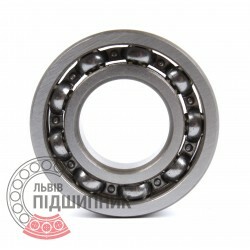 Deep groove ball bearing 6012 DIN625-1, ISO15:2011 GPZ-4. Net product price: 112,53 грн. Gross product price: 135,04 грн. 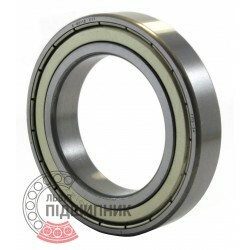 Deep groove ball bearing with protective metal washer on both sides 6012ZZ GPZ-34 Rostov, Russian Federation. Dimensions 60 x 95 x 18 mm. Matches the bearing 80112 (GOST 7242-81). Net product price: 102,63 грн. Gross product price: 123,16 грн. Deep groove ball bearing with protective metal washer on both sides 6012ZZ SNR, France. Dimensions 60 x 95 x 18 mm. Matches the bearing 80112 (GOST 7242-81). Net product price: 325,05 грн. Gross product price: 390,06 грн. Available for order 390,06 грн.